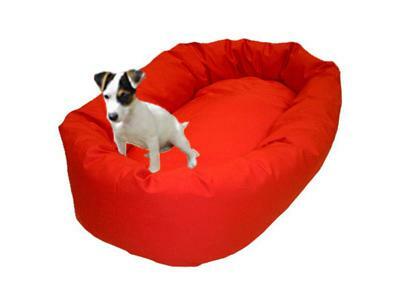 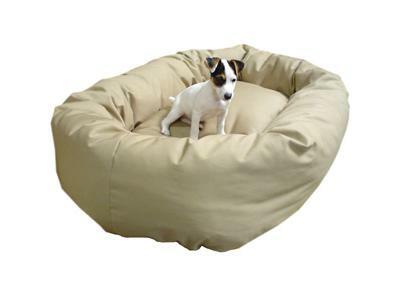 Majestic Pet 40'' Bagel Style Dog Bed is one of the luxurious pet beds, especially when your puppy finds himself surrounded by a plush bolster that's made for leaning against when taking those long naps. 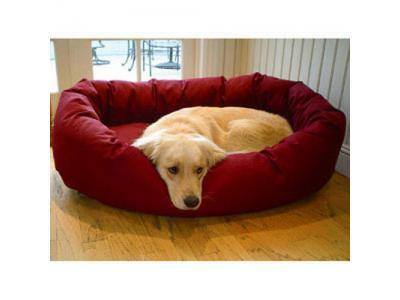 It's made of the finest materials available: a base of heavy duty water proof 300/600 Denier, the Bolster and Cushion of a durable 7oz. 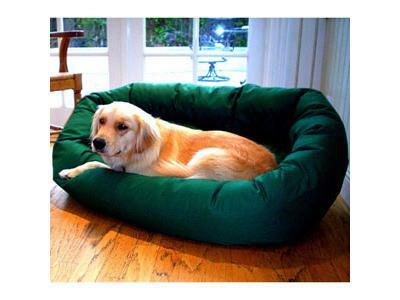 Poly/cotton Twill, and stuffed with a Premium High Loft Polyester Fiber Fill. 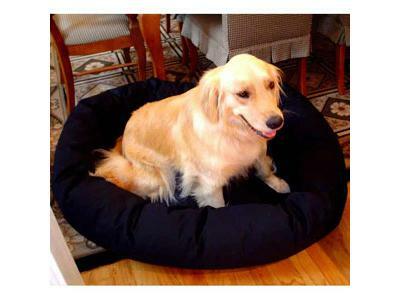 Fully machine washable - just place the entire bed in your washer & dryer on low heat, tumble dry low.